New York Philharmonic announced that San Francisco-born composers Anthony Cheung is one of the three composers who will share The Marie-Josée Kravis Prize for New Music at the New York Philharmonic at the request of inaugural recipient Henri Dutilleux. The Kravis Prize for New Music is bestowed every two years for extraordinary artistic endeavor in the field of new music, and French composer Henri Dutilleux was named the first recipient in 2011. Dutilleux decided that he would share the $200,000 award with three composers, each of whom would write a work to be performed by the Orchestra in his honor. Born in 1982 in San Francisco, Anthony Cheung is a composer and pianist. As a performer and advocate for new music, he is artistic director and pianist of the Talea Ensemble inNew York. His music has been performed by the Ensemble Modern, Frankfurt Radio Symphony Orchestra, Le Nouvel Ensemble Moderne, Linea, Musiques Nouvelles, Chicago Symphonyʼs MusicNOW, Dal Niente, International Contemporary Ensemble, Minnesota Orchestra, French National Orchestras of Lille andLorraine, Orchestra of the League of Composers, and eighth blackbird. Current projects include a Tremplin commission for the Ensemble intercontemporain and a Koussevitzky Foundation commission for the Talea Ensemble, both to premiere in 2012. 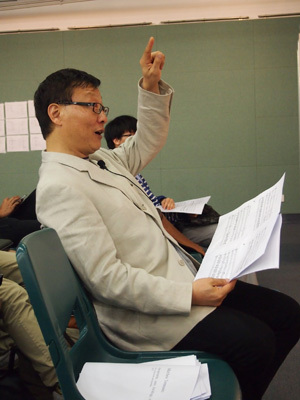 Cheung received his bachelor’s degree in music and history from Harvard University and his doctorate from Columbia University, where he taught and served as assistant conductor of the Columbia University Orchestra. Most recently, he was a Junior Fellow at the Harvard Society of Fellows. 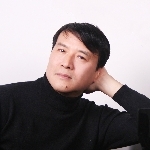 Cheung will spend the 2012–13 season inRomeas a recipient of the Rome Prize, and he will begin a teaching appointment at theUniversityofChicagoin 2013. The composer Matt Van Brink posted a very interesting article on NewMusicBox about his participating in this year’s “The Intimacy of Creativity,” a chamber music workshop program in Hong Kong created by Bright Sheng 盛宗亮. Sheng lives in Flushing and has been very active in New York’s music scene. He has done a lot of programs with the Flushing Council on Culture and the Arts. But I didn’t know of this one in Hong Kong. 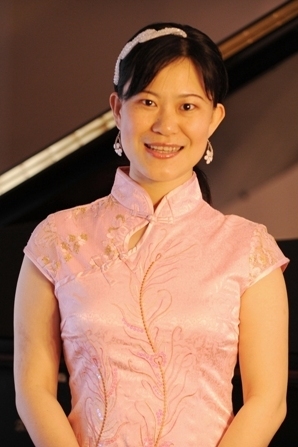 OPERA America‘s Salon Series is presenting “An Evening with Wang Jie” today. 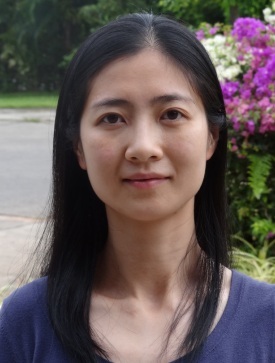 Wang Jie has been living and working in New York for several years now. Her opera Nannan was featured in the New York City Opera‘s VOX series several years ago. I havn’t heard too much of her since then. Tonight provides another opportunity. Born in Shanghai shortly after the Culture Revolution, Ms. Wang was raised during an era of breathtaking eco-nomic expansion. She was a known piano prodigy by the age of five. A scholarship from Manhattan School of Music brought her to the US where she began her composition studies under the tutelage of Nils Vigeland and Richard Danielpour. While a student at Manhattan School and later the Curtis Institute of Music, her tragic opera NANNAN was showcased by New York City Opera’s annual VOX festival. This led to the production of her chamber opera FLOWN, a meditation on lovers who must separate, by Music-Theatre Group. The Emily Dickenson inspired song cycle I DIED FOR BEAUTY was featured at the opening ceremony of Beijing Modern Music Festival. 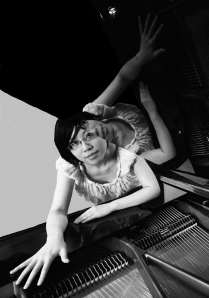 Her piano trio SHADOW dramatizes the inner life of an autistic child. It was featured by the New Juilliard Ensemble at the Museum of Modern Art and was subsequently presented by Continuum at Merkin Hall’s “China in America”. There was a time when Chinese American composers all came out of the Columbia University. No More. Today’s Chinese American composers come from everywhere and with varying backgrounds. Qin Yi, a Shanghai-born and Shanghai-studied composer, has a commission by the MATA Festival. Her new work will premier at this year’s Festival on April 18 at Roulette in Brooklyn. Her piece is written for the Quartet New Generation (QNG), a recorder collective from Berlin. According to Qin, with an all recorder ensemble, the sound produced has a very harmonic timber. It’s almost like each sound is the “shadow” of the other sounds. That’s why she named the piece “Shadows of the Music”. It sounds like a perceptive observation coated in a poetic metaphor.